We can supply you with vinyl graphics and lettering, ready for you to apply to your vehicle, shop window, display board, or any suitable substrate. We provide fully illustrated instructions so you can apply them perfectly positioned first time. Once you have ordered the quantity of characters that you require, just give your instructions in the 'notes' in checkout and we email you an image of the artwork. You can request changes until it is exactly as you want it. 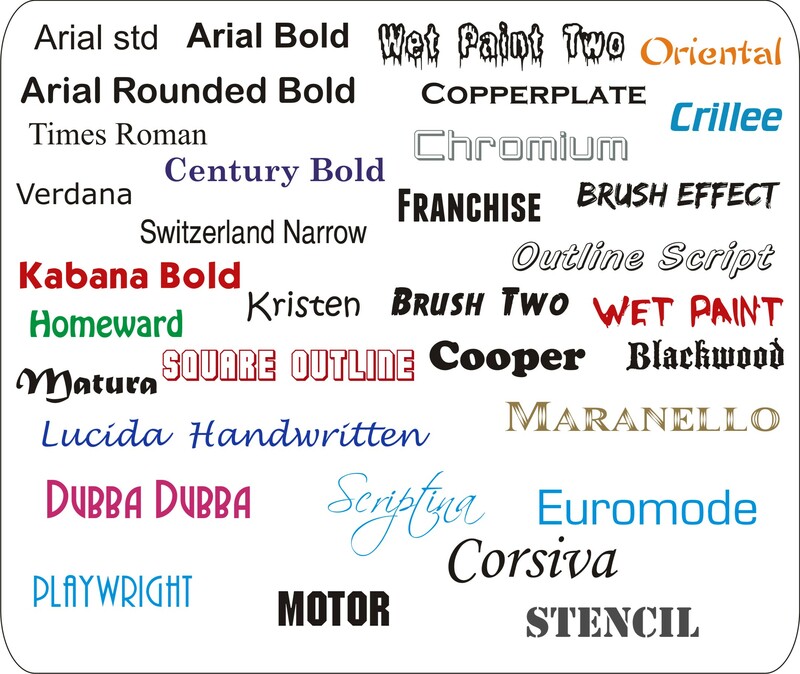 Click here to see some examples of fonts to choose from. We have many hundreds of others . If you're not sure about anything, contact us and we'll advise you and provide a quote.